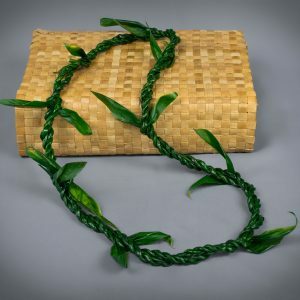 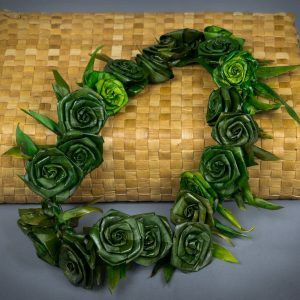 A unique and beautiful style ti leaf lei. 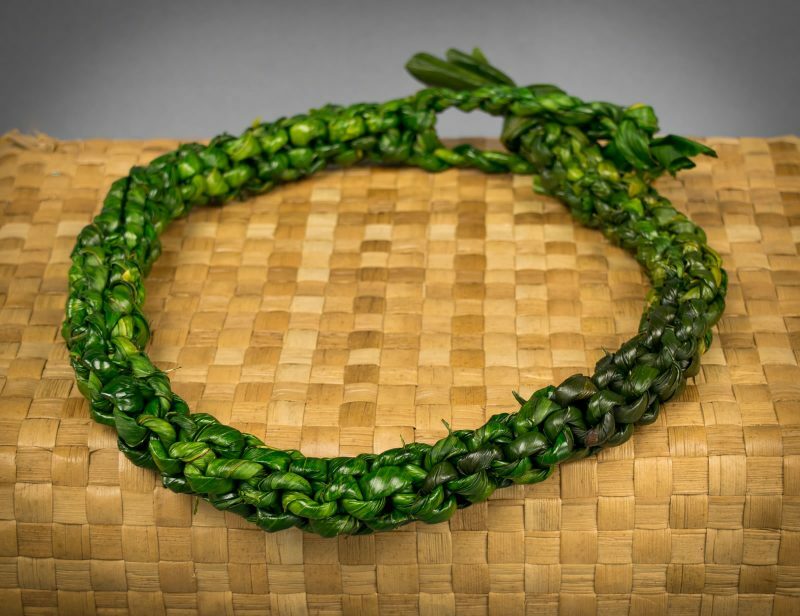 Multiple strands of ti leaves are intricately braided in a heavy ti leaf chain. 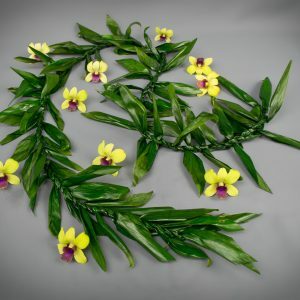 Makes a beautiful choker-style lei for men and women or can be used as a hat band. 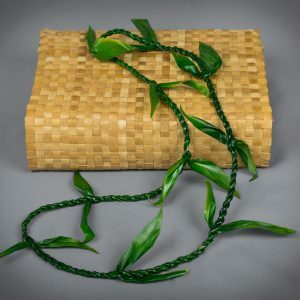 Approx 14″ long.